As you know, a few days ago we went to the Czech Republic to visit Eduard factory, and it was definitely THE TRIP that every scale aircraft modeller should do once in a lifetime. 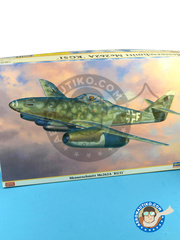 With all that we achieved one of our wishes for this 2014 that is now slipping from our fingers, but there's still time to talk you about some of our latest new products: a load of Hasegawa kits just arrived from Japan... at unbeatable prices! Don't let them slip by!! What a gorgeous kit!! And what a gorgeous price!! 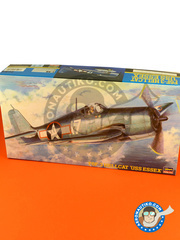 This Hellcat kit from Hasegawa includes the additional fuel tank, detailed engine, decals for two american carrier versions, and a good pile of parts to have a great time. 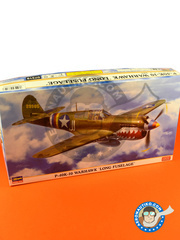 The longest version of the P-40, corresponding to the lengthened fuselage aircraft, recreated by Hasegawa in full detail with their usual top quality grey plastic. The kit includes decals for two different versions. 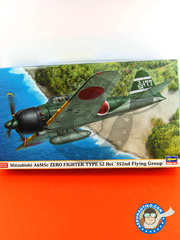 Here's the A-7 version of the Fw 190 from Hasegawa. Inside the box you have two decoration from the beginnings of 1944, an engine detailed to the max, a pilot figurine and 14 sprues packed with parts. 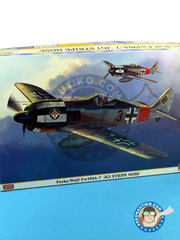 An enormous and gorgeous kit of the Fw 190. 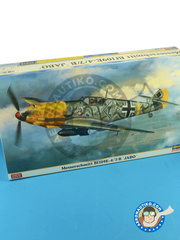 One of the most beautiful German planes of the Great War, now in 1/48 scale and two different decorations. 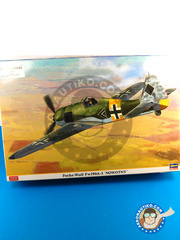 In addition, it includes the parts, one photoetch set and three additional figures to integrate the plane in a diorama. An AWESOME kit with an even more awesome price. Inside the box, it includes two different decorations from the Chinese front. 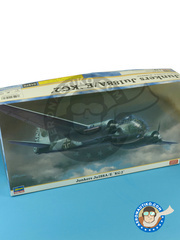 The parts list of the kit is really good, with all the cockpit exhaustively detailed, as well as the landing gear, vertical planes, flaps and panels. 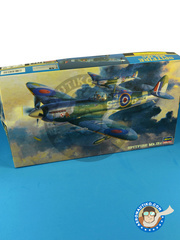 Three of the most curious and beautiful markings used by a Spitfire come inside the box of this wonderful Hasegawa kit, certainly enjoyable thanks to the fully detailed cockpit, the delicately engraved panels, and the spectacular part listing. 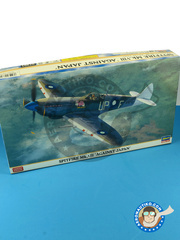 One of the most classic and essentiial aircrafts, the Spitfire Mk IXc, that you can now build with two different RAF decorations. The detail level of this kit is really good, including very well defined panels, a generous part listing for the cockpit, and everything correctly distributed in six sprues of top quality injected plastic. 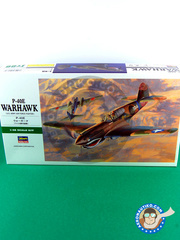 A classic of the American military aviation now from the hands of Hasegawa. 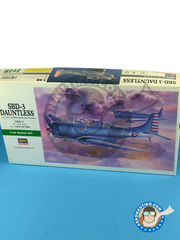 The kit includes decals for three different versions of the US Navy, as well as an accurately detailed engine and cockpit. The plastic is delicious, very well injected, and with delicately engraved panels. Get ready for countless hours of joy with this really spectacular kit. 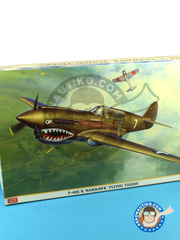 Inside the box, you've got decals for two different versions of the aircraft, each more spectacular than the other. The part listing is overwhelming, consistent of nothing less than 15 sprues where you'll find the fully detailed engine, cockpit, landing gears, and lots and lots of other parts. 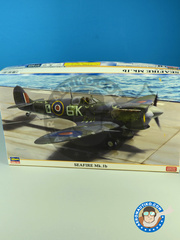 The aircraft carrier version of the Spitfire is, without any doubts, one of the most interesting versions that you can now recreate with any of the three different markings included in the box. The plastic is amazing, featuring engraved panels and a fully detailed cockpit.